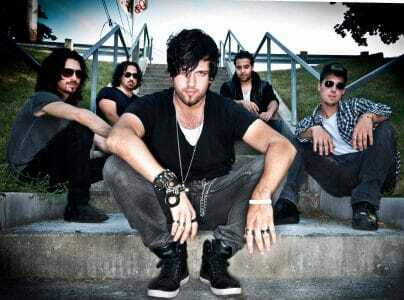 Greater Toronto (Ontario, Canada) area rockers Last Bullet started in 2009. High school friends Michael Silva (rhythm guitarist) and Brendan Armstrong (lead guitar) along with drummer Leo Defina (drums) started a band together. They decided to write a few songs, really liked what they were coming up with and they put an ad on Craigslist looking for a bassist. They only got one response which ended up being from Will Shannon who joined as the band’s bassist. They wrote a few more songs together and really felt like they had something special so they put an ad out for a lead vocalist. They ended looking for a singer for about nine months during which they auditioned about 10 to 12 people. By that time, the group had the band name Last Bullet, which was basically a metaphor for the term carpe diem to seize the day. In other words, if you only have one bullet left, make it count and use it wisely because you only get one shot and that’s your last chance. The group took that meaning seriously as every time they went out on stage, they performed as if they only had one shot left in the chamber. Eventually, Bryan Fontez auditioned as lead vocalist for the band. 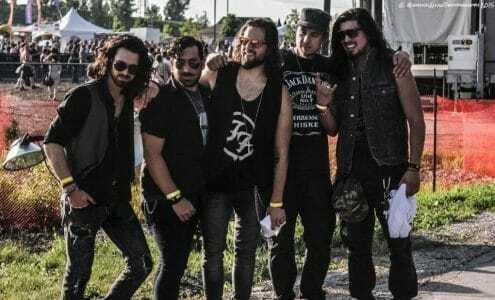 Fontez had been playing drums for a number of years including for a Black Sabbath tribute band for three to four years before deciding that he wanted to try something new including playing some original tunes and fronting a band due to his abundance of energy. In the fall of 2013, Last Bullet embarked on a cross-country western tour of Canada playing 26 shows in 30 days. 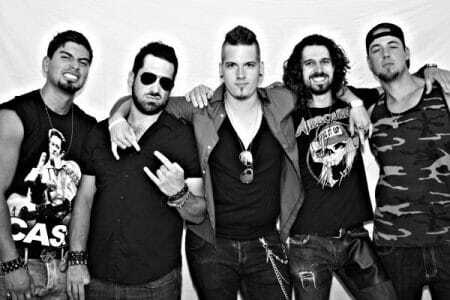 Prior to the tour, the group parted ways with original drummer Leo Defina and welcomed hard hitting drummer Chris Galaz to the fold. Galaz had only one month to learn the band’s songs before the group headed off on its month long cross-country tour of Canada. 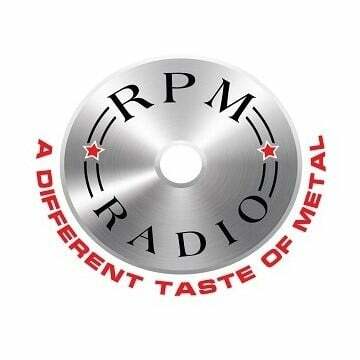 In 2014, Last Bullet played the Big Music Fest (headliner Aerosmith) and the Rock and Rumble Bike Rally with both events taking place in Kitchener, Ontario, Canada. 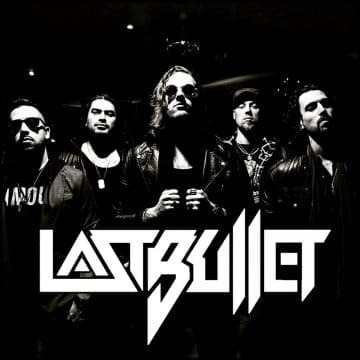 In early January 2015, Last Bullet‘s song “State Of Confusion” received national exposure in Canada as it was played just before the World Junior Hockey Championships’ gold medal game between Canada and Russia on the TSN [The Sports Network] television channel. 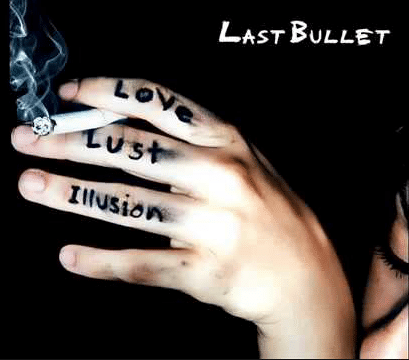 With Last Bullet self-financing their first two EPs and coming up with money to invest into the band being a big issue, the group pondered what would be the best way to “make it.” Last Bullet elected not to release a new album but instead focus on releasing singles that could receive radio airplay. In November 2015, Last Bullet released a video for their new single “Sin.” The video was shot in the attic area of Toronto’s world famous Fairmont Royal York Hotel, which necessitated the band members lugging all of their gear well over 700 flights of stairs overall to complete the video shoot. 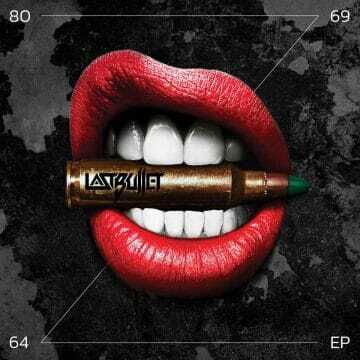 Last Bullet‘s new single “Sin” showed a departure in the band’s songwriting from ’80s sounding riffs and melodies to more ’90s influenced songs due mainly from the Queens Of Stone Age loving Fontez now handling a lot of the songwriting. In May 2016, Last Bullet embarked on a cross-country eastern tour of Canada. 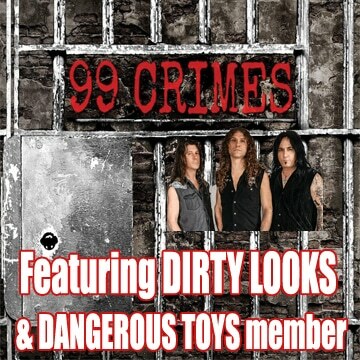 After “Sin” didn’t make the radio breakthrough that the band was hoping for, it released the more ’80s sounding single “Southern Lips” in October 2016. 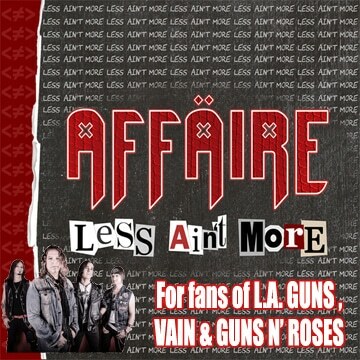 The single failed to register the hoped for radio airplay. In March 2017, Last Bullet took part in a new Guinness World Record for the longest concert by multiple artists ever, which ran 24 hours per day from March 17, 2017 to April 2, 2017 at The Earl Of Whitchurch in Whitchurch-Stouffville, Ontario, Canada. Wanting desperately to get to the next level, Last Bullet announced in May 2017 that they were going to release a new EP titled 80-69-64 and they would also have a “new show, new merch, new everything.” The new EP 80-69-64 presented a new sound for the band who released the single “Gimme Time” which was a track previously brought by Fontez to the band (and rejected) four years earlier. Last Bullet‘s EP release party along with four other independent bands ended up drawing an impressive 800 people at the Phoenix Concert Theatre in Toronto. 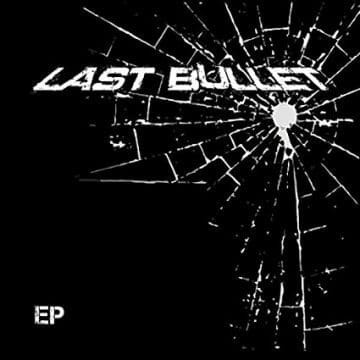 In mid-December 2017 and only five months after the release of their third EP 80-69-64, Last Bullet announced that they were calling it quits. The group played its final show in front of a sold out crowd at the legendary Horseshoe Tavern in Toronto on January 27, 2018. Last Bullet will likely be remembered for putting on some of the best live shows in the greater Toronto area. 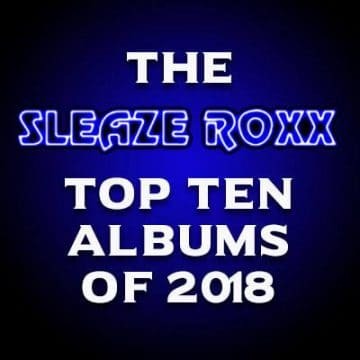 In early January 2015, Sleaze Roxx declared Last Bullet to be the best live band to emanate from Toronto and after the group’s electrifying last gig, called Fontez one of the great frontmen in rock n’ roll. Want the album? Go to www.lastbulletmusic.com Special thanks to the Last Bullet video models Lauren Roy and Ivett Jaroc, as well as the Director Jon Lajoie, the entire crew and to Molson Canadian for providing the fuel that kept us going on shoot day. We hope you enjoy the video! Directed and Edited by Bryan Fontez. We’d like to thank Jon Lajoie, our very good friend and the director of our first video “Forget The Rest”, for providing all of the equipment necessary to get the job done, as well as his expertise, support and camera work.